T-Mobile USA is a national provider of wireless voice, messaging, and data to speed with 4G innovations, a powerful network, and flexible plans. H2O Wireless is a national provider of wireless voice, messaging, and data. We offer all of H2O wireless carrier's plans and phones. 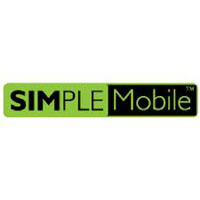 Simple Mobile is a national provider of wireless voice, messaging, and data. We offer all of Simple Mobile carrier's plans and phones. Go Smart Mobile is a national provider of wireless voice, messaging, and data. We offer all of Go Smart Mobile carrier's plans and phones. Tel Cel Mobile is a national provider of wireless voice, messaging, and data. We offer all of Tel Cel Mobile carrier's plans and phones.